If you are considering a new driveway or patio, then look no further. We offer the most competitive, professional and personal service around. Whatever your requirements, we listen to your needs and then take control of the project, leaving you free to sit back and relax and let us turn your dreams into reality. 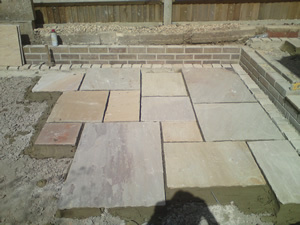 Lift a level sunk patches in block paving. We cover all areas within a 50 mile radius of Fareham, Hampshire. For a free no obligation quote contact us on 07832 273649 Mon-Sun 8am - 8pm.